Riverdale, N.Y. – Sophie Herrera ’20 is an exceptional student athlete. But just like every other student athlete at the Mount, she’s so much more than that. 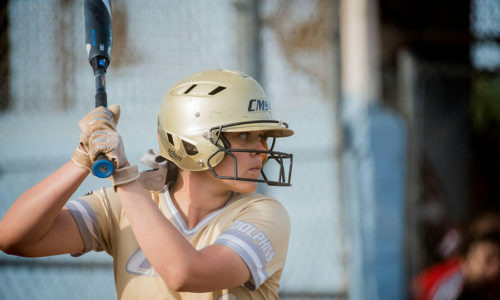 A junior on the Mount’s Softball team, she’s continually excelling on and off the field—especially through her academics and service back to the community. Hailing from San Diego, California, most would be nervous to select a college across the country. Deciding where to live and learn for four years isn’t easy, but Sophie was confident in her decision. She credits the experience with allowing her the opportunity to step out of her comfort zone to better see the world and all it has to offer. A sociology major with a concentration in law and criminal justice, Sophie has big plans to attend law school after she graduates from the Mount. She even recently took her academic ambitions further by announcing a political science and history minor—just another commitment she knows will benefit her as she prepares to launch her career. This type of dedication to her studies made her a prime candidate for the College’s Seton Service and Leadership Program. Upon applying to Mount Saint Vincent, not only did she maintain a high academic profile, but she displayed outstanding community service and leadership skills—qualities she continues to nurture. When she’s not studying, Sophie works with campus ministry to take part in as many community service opportunities as she can—and she never hesitates to take full advantage of projects that enable her to positively benefit those in need. It’s not surprising that she also works as a campus tour guide, sharing what she loves most about the Mount with prospective students and families. She’s an admirable representation of a hard-working student, athlete, and contributor to the College community. All of these responsibilities add up, but she balances her busy schedule into a calendar. Once her days are outlined with classes, practices, games, and study sessions, she fills in every other opening with ways to give back through service. It can become overwhelming at times, but Sophie manages to stay on track—she understands the importance of being involved as more than an athlete. When you put your passions in action, you become the best you can be. You’re eager to learn new things, excited for additional challenges, and you realize what matters most. When you’re fully involved in and outside the classroom, you excel in all aspects of your life. Now, as she reflects back on her college career, she knows that her decision to travel nearly 3,000 miles to the Mount was one of the best she’s ever made. A hard transition at first being so far away from home, it’s all been worth it. This challenging, fulfilling experience has allowed her to grow. Sophie’s senior year is right around the corner—and we can’t wait to see what’s next as she continues to study, swing, and serve.